The Miller® Bobcat® 250 with electric fuel pump is designed for smooth starts every time, especially at high altitude. It is a 250 amp gasoline engine driven welder and 11,000 generator in one. The Bobcat® 250 is fuel efficient and very quiet. The smaller and lighter design means the Bobcat 250 is easier to transport and maintain. 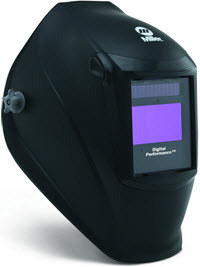 The electrical portion of the welder/generator is covered by Miller's True Blue™ 3 year warranty. The Kohler twin cylinder, 23 Horse Power gasoline engine is covered by Kohler's 2 year limited warranty. Quieter and Better Sound - Significant improvements in sound level and quality offer better jobsite communication, which provides a safer, more efficient working environment for you and your crew. New Bobcat 250 welder/generators have rotated the engine toward the front to create more efficient airflow, resulting in significantly quieter operation. Now you can start your job earlier in the day and end it later, as well as work around hospitals, businesses, and residential areas. Smaller and Lighter Design - New Bobcat 250 welder/generators take up less space on trucks and trailers, leaving more room on your truck for other equipment and tools. Plus, they're easier to move safely around jobsites - even with weld cables and running gear attached. OPTIONAL electric fuel pump for high altitude operation (order in "Model" above). Do I need to buy a wire feeder in order to use mig? Miller Bobcat 250 Welder w/Electric Fuel Pump 907500002 does not come with any accessories. Please give us a call at 888-328-9890 for optional accessories depending on your application. 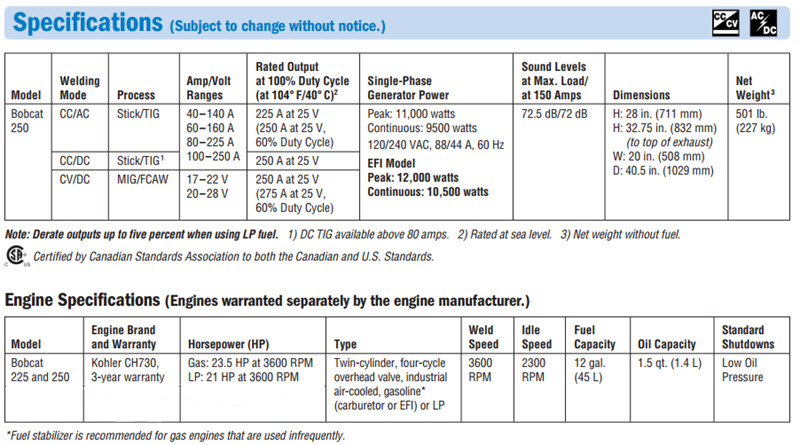 Can I run my house off this generator if I needed too. I've been having issues with running my hkuse pumps in case of floods with my breaker now and need a back up. 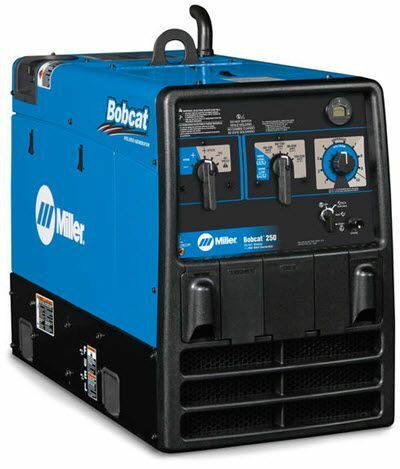 Depending on what you plan on running off of the Miller Bobcat 250 Welder w/Electric Fuel Pump 907500002 it will work as it supplies 250 amp/11,000 watt continuous power.